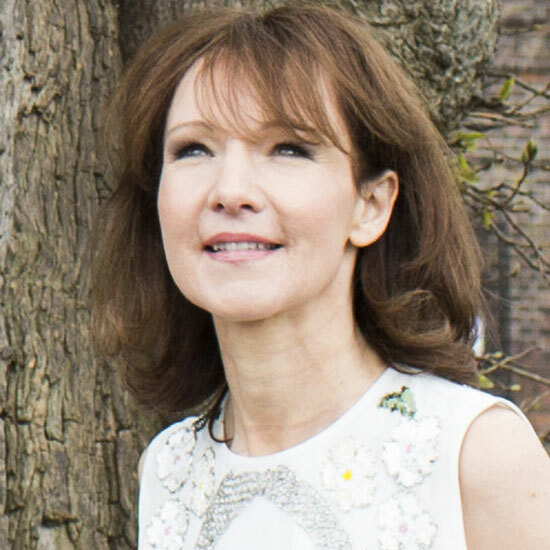 The Woodwind Family, the Poet Milton, the Composer Gerald Finzi – these have all been the subjects of talks by Emma Johnson broadcast by the BBC. She also has devised musical weekends exploring in depth the music of composers such as Schubert and Brahms through concerts and talks (extracts of which can be found below). Perennially in love with the spoken and written word, Emma enjoys giving lectures about music whilst her sense of humour has also brought about invitations to compère concerts and to give speeches. I wish I could write to you as tenderly as I love you, and give you as much kindness and goodness as I wish for you. I constantly want to call you darling and all kinds of other things without becoming tired of adoring you..
After Clara Schumann died Brahms didn’ t live much longer despite being 14 years her junior. He still could put on an outwardly gregarious act as he habitually did in company, but from this point sickness took over leading to his own death just over 10 months later. Never consummated or celebrated in marriage, this is nevertheless one of the great love affairs in the history of music, developing from the passionate young man’ s love Brahms felt on first meeting Clara to a more mature relationship that had withstood many stormy patches by the end. (They were after all very different personalities – Brahms an inveterate tease and joker whilst Clara was not noted for her sense of humour.) Throughout his life Brahms would send most new compositions to Clara first for comment before getting them published, often completely ignoring her advice but nevertheless needing her reaction and approval. She was one of the first performers to champion his music and she in turn would always need contact with this great genius of music as he was the only person alive who could come near to giving her the same musical inspiration as had Robert Schumann for the fourteen years of their marriage……………. I’ d like to end by considering the set of Four Serious Songs written by Brahms when he knew that Clara was dying. He always denied that they were about her impending death – Brahms always liked to throw people off the scent -. but that was undoubtedly on his mind at the time. The songs take over the themes of the German Requiem in facing up to death. They trying to make sense of death in a spiritual but secular context using Luther’ s translation of Biblical passages such as in the third song “Oh Death how well you comfort the needy one who is old and mired in trouble”. The first song gives expression to Brahms‘ great belief in devotion to his work: “there is nothing better than that man should be happy in his work, for that is his lot.” Uneasy rootless quavers after the opening funeral dirge seem like a musical representation of dust ”it is all made of dust and goes back to dust”. In these songs we get as close as we ever can to an insight into Brahms’ philosophy of life and to conclude he borrows St Paul’ s words to the Corinthians: “Though I speak with the tongues of Men and Angels, and have not love, so I would be like sounding brass or a tinkling cymbal”. “For now though remain faith, hope, love, these three: but love is the greatest of them”. Thus the final music Brahms ever wrote is this sublime, lilting, setting of words about love. His conclusion about life? That it is meaningless without love. And for Brahms ultimately that meant love for Clara Schumann. …. Already by the age of 23 Schubert had written enough to make him famous today- the fifth and sixth symphonies, the Trout Quintet, many of the famous songs etc.. There were many performances of his music in Vienna and the surrounding areas, admittedly mainly the songs, and Schubert was a published composer as well as becoming a member of the prestigious Gesellschaft der Musikfreunde in Vienna (the precursor of the Musikverein) where he met other performers and patrons who might be able to help his career. However a self destructive aspect of Schubert’ s nature was rearing its head. It has been suggested by the scholar, Elizabeth Norman Mackay, that Schubert showed classic signs of cyclothymia, or in other words, he was bi-polar, inclined to swings from moods of ecstatic elation to periods of depression. Perhaps this may explain why his music covers such a vividly expressive range – from the sunny disposition of the Trout Quintet to the bleak dark colours of Winterreise. Suddenly in 1823 Schubert writes in a letter “the state of my health does not allow me to venture out of doors”. It would appear that at this point he suffered the first symptoms of his fatal illness, syphilis. In those days the condition was incurable and if you didn’ t die of the disease you often died of the treatment with mercury which was unpleasant and debilitating. Schubert would have suffered horrible rashes and bone pains as well as pustules on his head which meant that he had to have it shaved and wear a wig. Added to this, lesions in his mouth meant he couldn‘ t sing. Even when the worst symptoms were over, he still complained of the intense headaches which were another symptom of syphilis as well as the feeling of having been poisoned which came upon him because of the mercury treatment. A note book he wrote in 1824 shows that his thoughts were bleak and that he felt alone in his suffering: “people imagine that they can reach each other, but in reality they only pass one another by. Oh misery for him who realises this!”. However at the same time Schubert writes of being excited that he has written two quartets and an octet and he is preparing the way for writing a symphony; so it would seem that on some level he recognised that depression was something he had to put up with. It was a natural part of his creativity. In fact in his note book of 1824 he writes that depression “is the fate of most intelligent people in this miserable world”. Also “pain sharpens the understanding and strengthens the character”. “All that I have created is born of my own understanding of music and my own sorrow“. Schubert’s illness and confinement gave a new urgency and concentration to his writing so that his last three years produced un unbelievable richness of material: the great C major symphony and the G major quartet, the B flat and E flat piano trios as well as the Impromptus and Moments Musicals for piano and Winterreise as well as String Quintet with two cellos, the three last piano sonatas, the Fantasy in f minor for piano duet and Schwanengesang. These last years are truly a swan song, a flowering of music of the highest quality. One wonders how Schubert had time for anything else other than music and in fact he didn’t. His friend Schwind, a young intellectual and artist, visited him during the day when he was in mid flow writing the Octet and Schubert, such was the depth of his concentration on what he was doing, hardly registered his visitor and barely said hello whilst carrying on writing……..
And looking back over Schubert’ s life, despite the suffering he had to undergo, it seems that his love affair with music was so intense that he spent many ecstatically happy hours in its company. In doing so he provided us with many musical treasures which help take us out of ourselves into “regions never before explored”. It is no accident that New Orleans is widely credited with being the birthplace of jazz. Over half a million African slaves were living in America by the early nineteenth century and New Orleans was one of the few places where slaves were allowed to own drums and where black musical ritual was openly tolerated – in fact it was enjoyed by black and white communities alike. Before long in this Creole crucible, African and European musical traditions would come together, react and evolve into a new music, namely jazz. Jazz’s evolution didn’t happen over night of course. Many in the white community thought their European classical music socially superior to any of the native music styles in America. Pieces such as Edward Macdowell’s classic “To a Wild Rose” from his Woodland Sketches of 1896 were designed to be played in front parlours and concert halls and were typically based on the European Romantic traditions of Grieg and Schumann. Nineteenth century American classical composers would be expected to have studied in Europe, although the father of the American parlour song, Stephen Foster, was one of the first to break the mould, training in Pittsburgh. In the 1890’s the Czech composer, Antonin Dvorak was enticed to New York. His remit was to set up an American music conservatory and an American style of musical composition. Like Macdowell, Dvorak was entranced by native American Indian harmonies, but when he introduced Indian and African inflexions into works such as the New World Symphony, and the Sonatina for Violin and Piano there was disapprobation in some quarters. By contrast African American music was workers’ music heard and played on the streets and in dance halls for festivals and funerals. New Orleans clarinettist, Sidney Bechet, was the grandson of a slave who had been given special status because of his musical abilities. He would beat out the rhythms on drums in the public square where all the slaves met on Sundays. His music was a celebration but also a way of remembering Africa, of remembering how a member of one tribe would signal to another beating the drums for a feast. 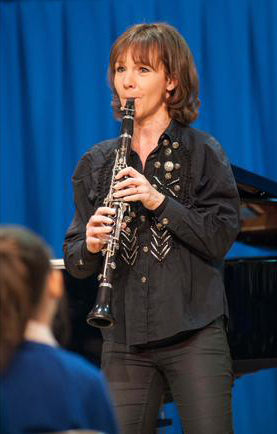 Although her busy performance schedule precludes regular teaching, Emma Johnson has given masterclasses all over the world. She also likes to give concerts in schools to share her enthusiasm for music with the younger generation. Masterclass with Emma Johnson at Leeds College of Music.